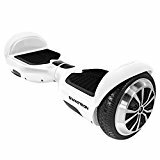 Welcome to SelfBalancingReviews.com, your source for unbiased reviews of hoverboards, electric skateboard, self balancing scooters, electric unicycles and other similar products. Our aim is to make sure you find the right form of self balancing transportation at the right price. To help you achieve this we’ve included lists of the 10 best hoverboards, electric skateboard, self balancing scooters and electric unicycles and how much they cost. Hoverboards have seen soaring popularity recently, and while you still can’t buy a true hoverboard like the one featured in Back to the Future II, there are several products that call themselves hoverboards that you can buy today. These electric skateboards are not self balancing and take a bit more getting used to than hoverboards or scooters. Yet, they can go much faster and are often far lighter than the other products featured here. 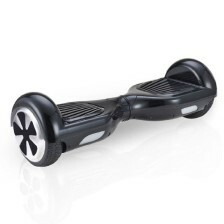 As you can see above, most “hoverboards” are really just self balancing scooters. Therefore, to make a full informed comparison it’s best if you have a look at the following models. Self balancing electric unicycles are another really popular product right now. The main difference between them and self balancing scooters is that they have only one wheel. Some users find unicycles easier to use while others prefer scooters.